Indivumed and Helomics said today they will analyze human cancer biospecimens and annotated clinical data from consenting patients worldwide, through a collaboration designed to enable basic and translational research through the development of biomarkers. The collaboration, whose value was not disclosed, will combine Indivumed's global cancer database, biobank and research laboratory with Helomics' advanced clinical laboratory diagnostic tests, proprietary D-CHIP (Dynamic Clinical Health Insight Platform) bioinformatics platform launched in April, and custom project services for customers. Helomics is an integrated clinical contract research organization based in Pittsburgh, where the company maintains its CLIA-certified, clinical and research laboratories. The company’s Helomics Biomarker Panel consists of tests designed for any solid tumor type—though the tumor types most frequently tested through the panel, according to Helomics, are gynecologic cancers, lung cancer, breast cancer, colon cancer, and pancreatic cancer. The collaboration with Indivumed “provides a unique opportunity for tissue-based diagnostic development and validation spanning the preclinical to clinical research pipeline,” Helomics President and CEO Gerald J. Vardzel Jr., said in a statement. Indivumed is an ISO-certified global oncology research company based in Hamburg, Germany. 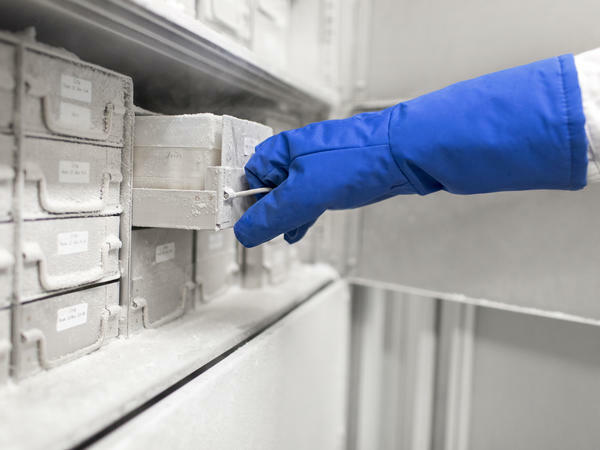 The company’s cancer database, which covers 22 different cancer types, combines clinical information of more than 320 validated clinical data points for each patient—including long-term outcome information with raw biological data (including protein, phosphoproteins, and DNA/RNA expression) on every patient, from fresh, fresh frozen and formalin-fixed tissue blocks from tumors and corresponding normal tissue, as well as fluids such as plasma, serum, and urine. According to Indivumed, more than 30,000 patients have contributed annotated biospecimens to the cancer database to date, while more than 10,000 new international patients have been added each year. Through the database, designed to store unique patterns of biomolecules such as RNA, DNA, and proteins in the human body, the company says it enables multi-omics capabilities allowing for characterization of samples and data—such as whole genome gene expression analysis, expression analysis of cancer relevant proteins, expression analysis of cancer relevant phosphoproteins and bioinformatics solutions for integrating molecular, biological and clinical information. In addition to enabling in-depth understanding of underlying mechanisms of a patient's cancer, Individumed also focuses on supporting implementation of personalized healthcare through translational research and molecular diagnostics.